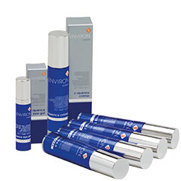 As a brand Environ® perform extensive research and development to offer you exceptional skin care products. They strive on integrity and keeping the meaningful promises they make to their consumers by offering the most effective skin care range that science permits. Formulated by Dr Des Fernandes, a world-renowned plastic surgeon, the range contains a unique combination of active ingredients to protect and nourish. 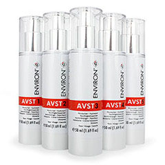 AVST is Environ®’s foundation range of face and body products for everyday use. The potent combination of vitamins A, C and E along with powerful antioxidants, flavonoids and peptides protects and normalises the skin, promoting firmness and improving uneven skintone. 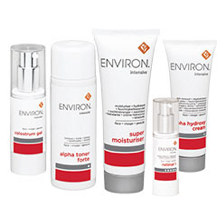 The Ionzyme range is Environ®’s fast-acting line of luxury skincare products. 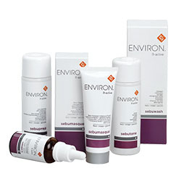 It provides a complete programme enriched with essential vitamins, antioxidants and peptides. This scientifically advanced combination of ingredients works in synergy to assist in the appearance of a smoother skin texture with a healthy glow. Specially designed for problem or congested skin, the formulations contain tea tree oil for its antiseptic properties, as well as salicylic acid and colostrum. The range includes cleansers, toners, moisturisers and spot lotion. Containing high levels of vitamins and active ingredients, the Intensive Range is designed to work in conjunction with core Environ products to enhance their effects and provide additional skin support. You can use combinations of the products, allowing you to tailor your beauty regime to specific needs. 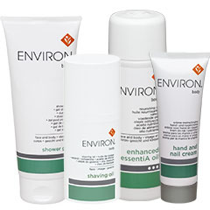 Environ® created the Body Range to help nourish and revitalise skin from head to toe, and everything in between! 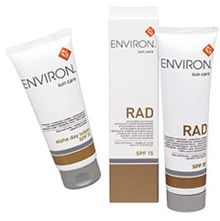 Enriched with antioxidants and vitamins, the nourishing formulations leave skin hydrated and silky smooth. A range of face and body products designed to help protect skin from the damaging effects of sunlight, and to nourish it with antioxidant vitamins.